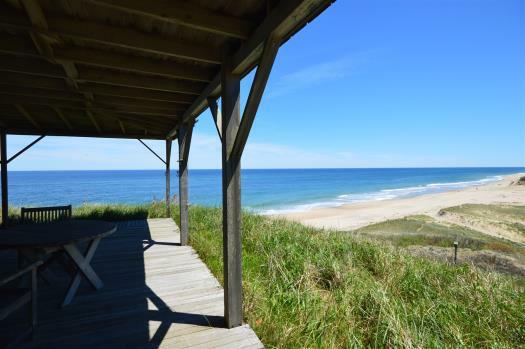 Walk to town, minutes to Nauset Beach. Dog friendly with central AC! 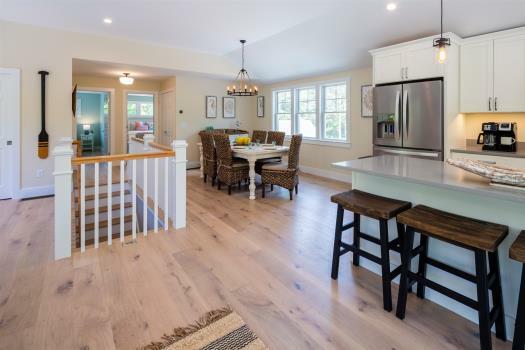 Centrally located in Orleans, this pet friendly 4 bedroom 2.5 bath boasts a stunning waterfront setting that is only steps from Main Street for boutique shopping, bars, restaurants and gourmet grocery and wine shops. Experience all that downtown Orleans has to offer without having to get in your car! Easily walk or bike into town in less than 5 minutes, or to the Firebird's field for summer baseball games. 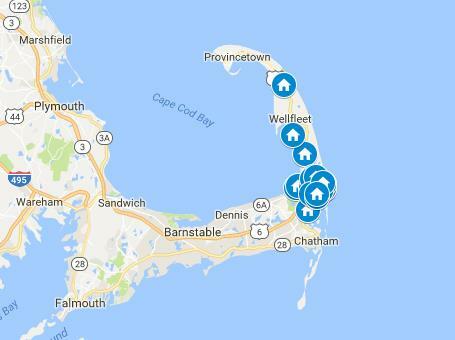 The National Seashore's Nauset Beach, bayside Skaket Beach and charming Crystal Lake are all within a 7 minute drive or easy bike ride. 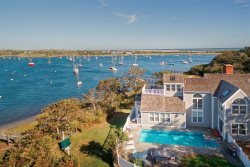 In addition to its fabulous location, this charming home also features stunning views of Town Cove from almost every room. The expansive living room on the main level has large windows overlooking the cove and there are water views from all but one of the bedrooms. There are sliders from the dining area onto the back deck so you can easily access the outside as well. And, with a second living area on the lower level, there is plenty of room to spread out. Both living areas have flat screen TVs with Netflix, DVD players and premium cable. And for those who love to read, there is also an extensive library to suit any taste! 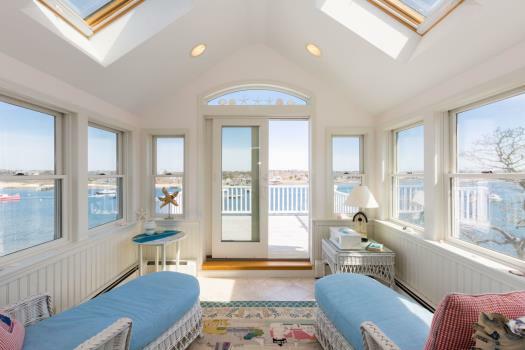 Outside, the spacious back deck with retractable awning overlooks marshland and water, while the side deck boasts a hot tub and outdoor shower. Enjoy your morning coffee on the deck and watch the sunrise, or sunbathe in the afternoon. Also a wonderful spot for enjoying bird life in the marsh! Whatever your interests may be, Cove's Edge is a great spot for a relaxing and enjoyable vacation. 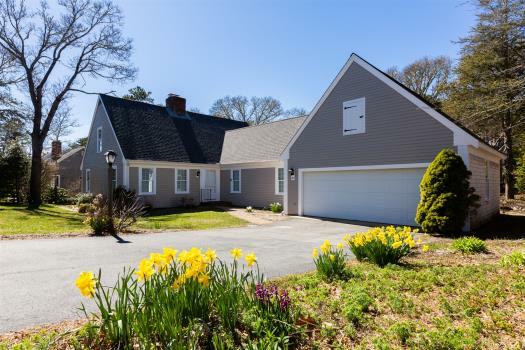 *This is a centrally located home in Orleans right on Town Cove. Walking distance to shops and restaurants. *This is a Saturday to Saturday vacation rental. *Please note that this home is dog friendly but the yard is not fenced and is in proximity to main roads. *Typically renters bring their own sheets, towels etc. Please inquire if you are interested in having linens delivered to the home for an additional fee. Even with a mix up on the owners end, Alyssia was fantastic and provided exceptional customer service. I will absolutely be referring friends to book through Nauset. Great house with fantastic views. You are close to everything you need in town, but being set back off the main road you never hear even the slightest in traffic noise. Will definitely be back at this house! Beautiful - picturesque - and wonderfully relaxing. 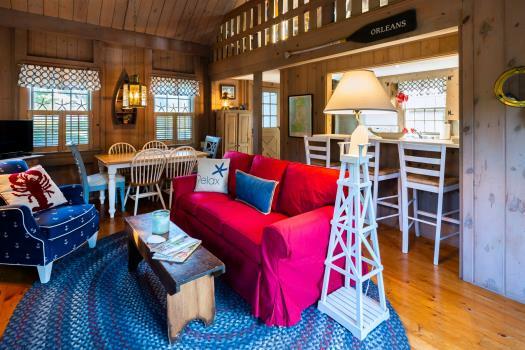 A very nicely set-up rental in a perfect location on the cape. Walk to dinners, shopping and ice cream - and close enough to ride bikes to the beach. We enjoyed our time in the house just as much as our time on the beach!